It’s hard to find a good barber and be upfront about what hairstyle you want. In some cases, barbers will even try to tell you the style that you want doesn’t look good on you. Well, sometimes you might agree but sometimes you really don’t. 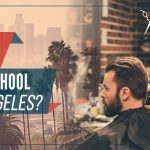 So if you are planning to get a haircut that will express more like of a work or business oriented look than casual, you might want to check out our 5 corporate haircut list before you head out to get a nice and clean but amazingly stylish haircut. The first on the list is a very common haircut corporate guys can get, the Classic Gentleman’s cut. 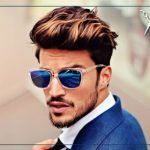 This haircut and style never gets old for its presentation, as it reflects refined and stylish men in the corporate world. Starting off with either a number 3 or number 4 on both sides and back. The hair then gets blended especially at the temples. The length of remaining hair on top can be anywhere around 2 to 4 inches. Wash and blow dry, or even a towel will do. Apply a hair product into blow-dried or towel-dried hair, anything you prefer from minimal to strong hold will do. Lastly, comb it in backward motion and away from your side part to create a nice and neat look. Recommendation: I recommend using the best product you know that gives both high shine and hold so that you will achieve the style you desire for this kind of haircut. One of the classic haircuts that never goes out of style! The Side Part is also above all the simplest haircut that brings out both corporate and casual look. This kind of hairstyle fits at any occasion, the only secret behind it is by using a good water-based pomade. Sides clipped with any clipper setting you prefer but I personally recommend a number 3 through number 5 or 6. The length of remaining hair on top can be anywhere around 2 to 4 inches, enough to comb over to the side part. And be sure to tell your barber for a taper on both sides and back. Apply a pomade into blow-dried or towel-dried hair, damp hair. Use a water-based pomade for the best result. Lastly, comb it going backward to a point on the back of the head and the side parts doing downward as a finish. Recommendation: This haircut works great on fine hair types but even greater on heads with thick hair. If you know the shape of your face, square and oval is the best fit on this kind of haircut. The haircut gives a smart look in any occasion or event, even casually. And also this is suitable for all types of hair. The key part there is in the Classic Quiff is a small amount of gel, blow dry and again, gel! Start off with any number of guard you prefer on both sides and back. I recommend using the number 3 though. The fringe can be as long as you prefer but I recommend to have it just on top of the eyebrows. Apply a hair product into towel-dried hair, anything you prefer from minimal to strong hold will do. Spread another layer of hair product all over your hair and evenly shape it to the style you prefer. Recommendation: The key technique here is more on styling. Blow dry is very necessary to achieve the best results and I recommend using a hairspray for finish on any styles that you do. This haircut is commonly known for its stylish variation with the crew cut (only the blade numbers are longer). Ivy League is shows a smart and classy appearance that is why it would be great to choice to pick this kind of haircut if you are a working person or a businessman yet you want keep your look with the trend. Start anything between a number 2 and number 4 on both sides and back. The length of remaining hair on top can be anywhere around half an inch to an inch. But the front should be longer. Lastly, comb it in any position you prefer. Recommendation: You can use any range of hold to keep this hairstyle in place. You may also apply a hairspray or anything with matte finish. 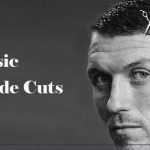 There’s still a lot of professional looking haircuts out there in different kinds of variations from classic to modern and hairstyles too that would actually depend on how you want it. 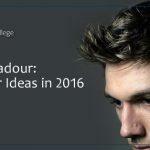 I hope this article will you with the basics on how corporate haircut and hairstyles gets done. Cheers!